Possibly the best Colbert Report segment ever — and that is saying something. Stephen reports on Donald Trump’s planned GOP debate, and, while professing his undying admiration for the man, still manages to raise the bar on him — bigtime! The Emmy-winning Colbert Report, hosted by Stephen Colbert, airs four times a week on Comedy Central and can be viewed online. 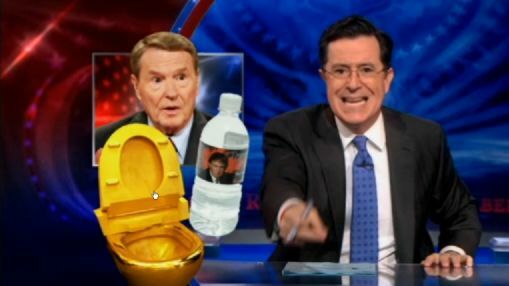 Colbert trumpets Trump's bonafides: Is Jim Lehrer even in the same league?